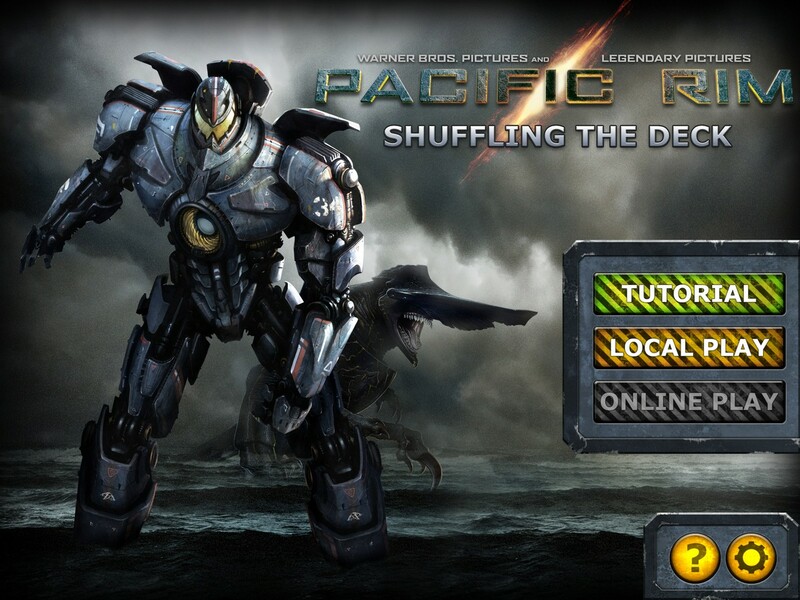 Take control of powerful Jaegers and defend the people of Earth from the devastation of the Kaiju! Under the shadow of the Kaiju attacks, the Jaegers and their pilots are a source of inspiration for the people and a symbol of hope. 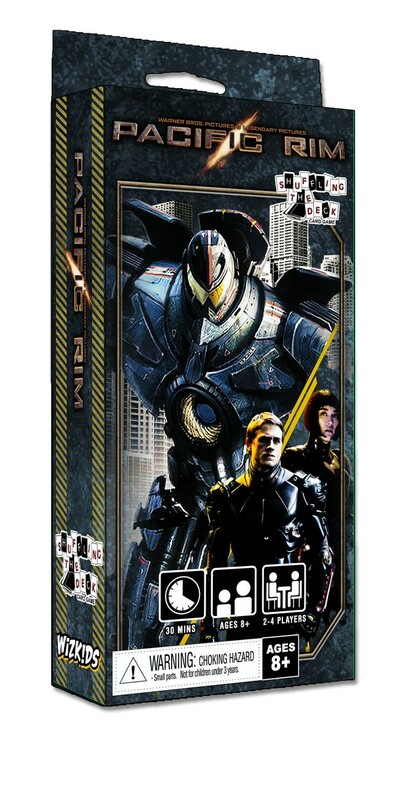 Secretly take control of Jaeger pilots and lead them to gain fame in the eyes of the people as you defend the cities of the world from the destruction caused by the Kaiju. But even in the heat of battle, there is always room for some friendly competetion. 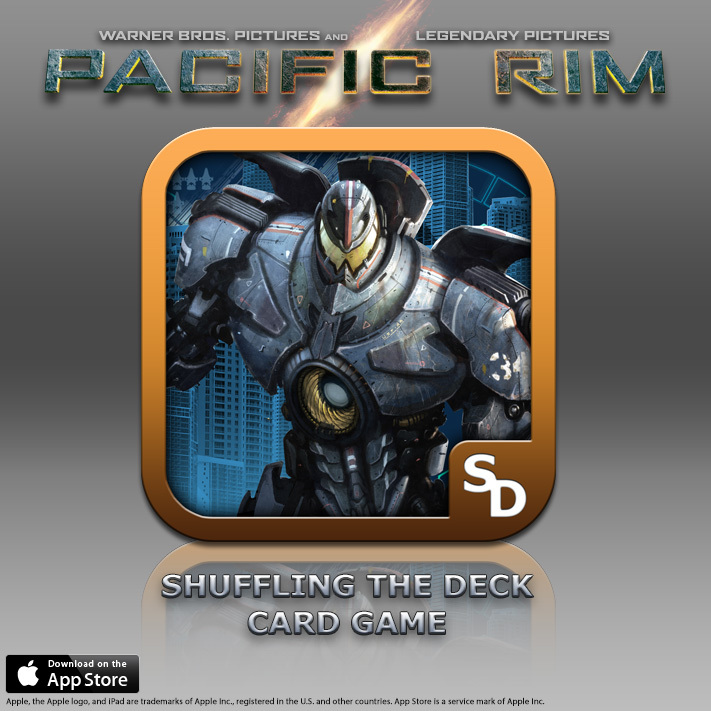 In the Pacific Rim Shuffling the Deck™ card game, each player secretly controls characters from the movie that are piloting Jaegers. 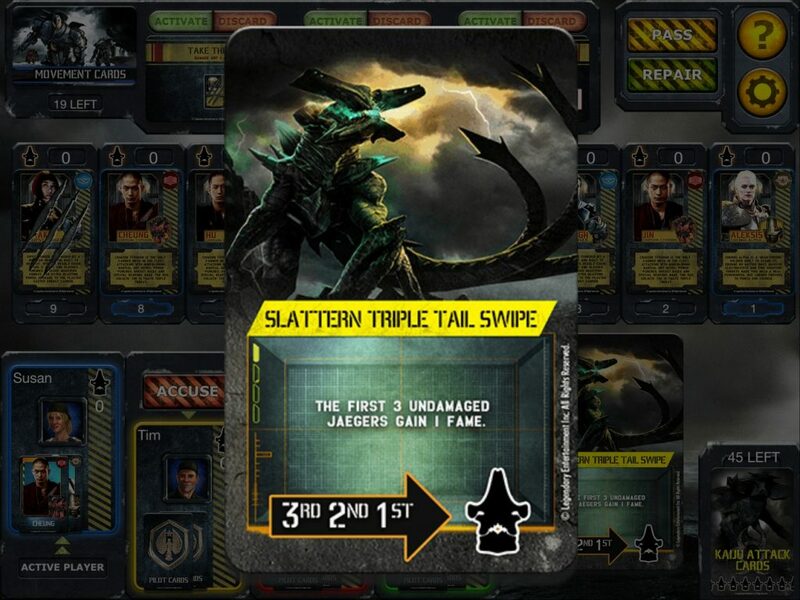 Each turn, a Kaiju attack card will be executed — awarding fame as the Jaegers repel the attack, causing the Jaegers to take damage or causing the Jaegers to lose fame if the Kaiju manage to beat them back. The players use movement cards to get their pilots into the best position for the current Kaiju attack. 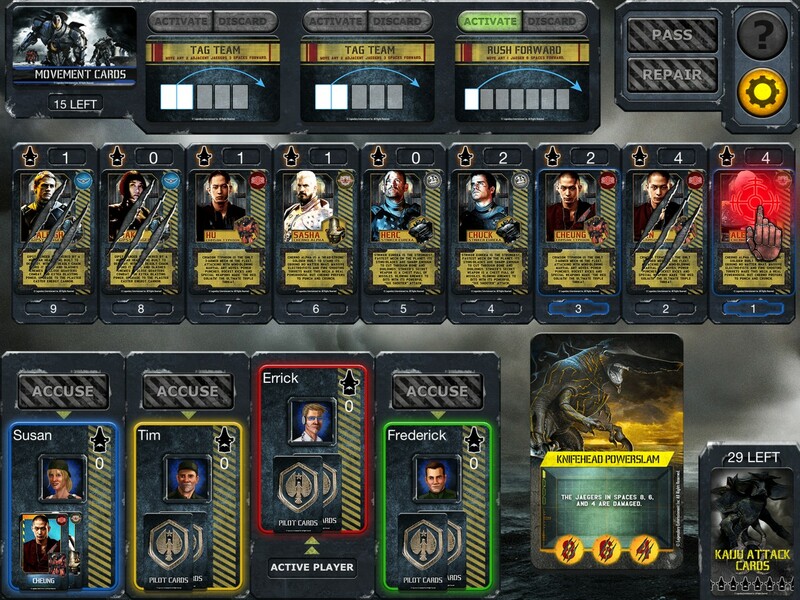 The players who gain the most fame will win the game when all of the Kaiju attack cards run out. 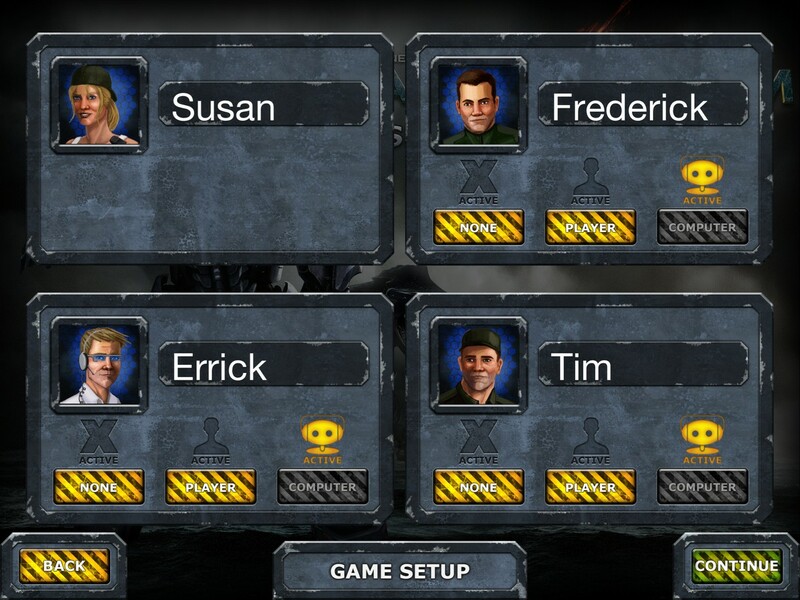 Players can guess other player’s secret characters which will award them half of the fame that pilot has gained throughout the game. The player with the most fame wins! 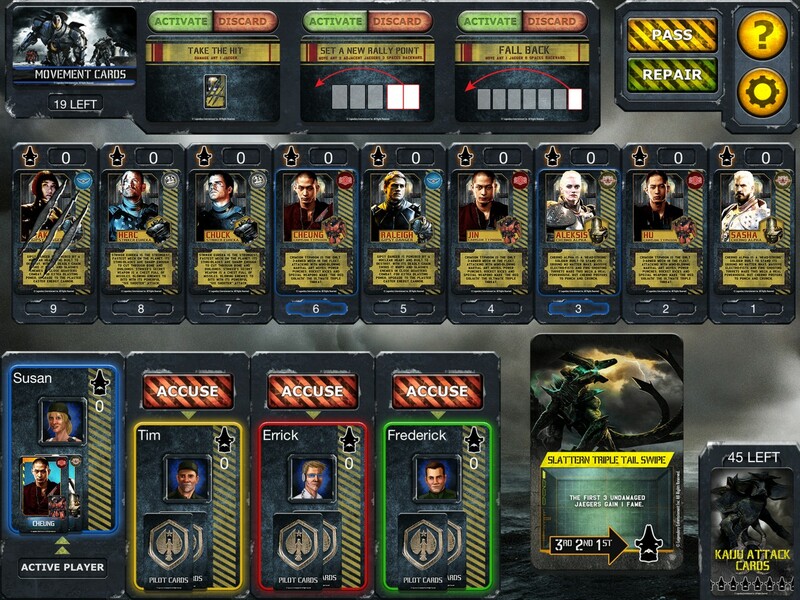 Contains: 100 cards and standard and advanced rules of play. 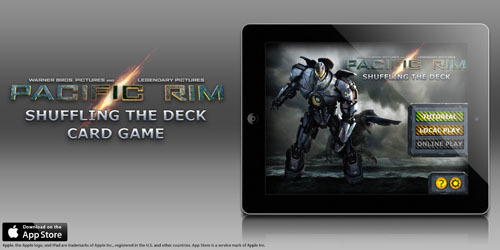 Now you can take the Pacific Rim Shuffling the Deck Card Game with you anywere! 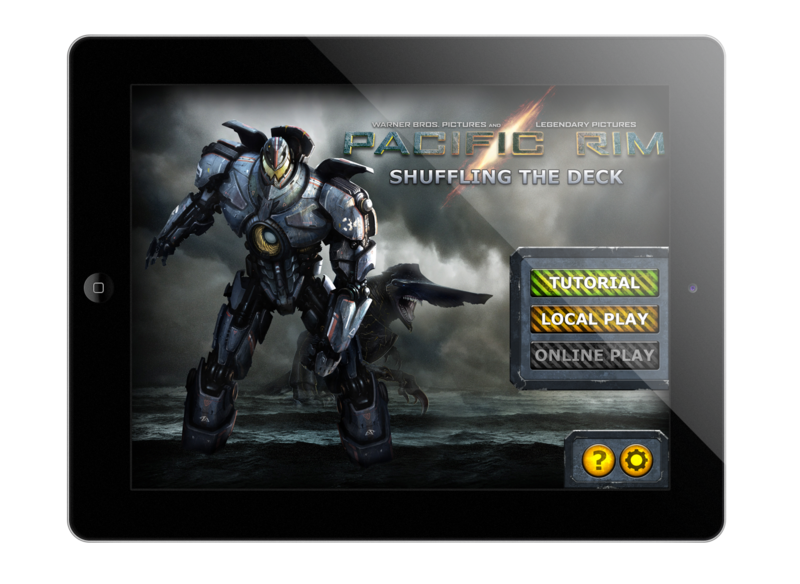 Play for free on your tablet device!